The MIM museum is a private museum in Beirut that houses more than 2000 minerals, including 450 different species from 70 countries. Opened in 2013 by collection Salim Edde, it is considered one of the most significant private collections of minerals in the world. The exhibitions also include informative videos and digital media, as well as educational tools. 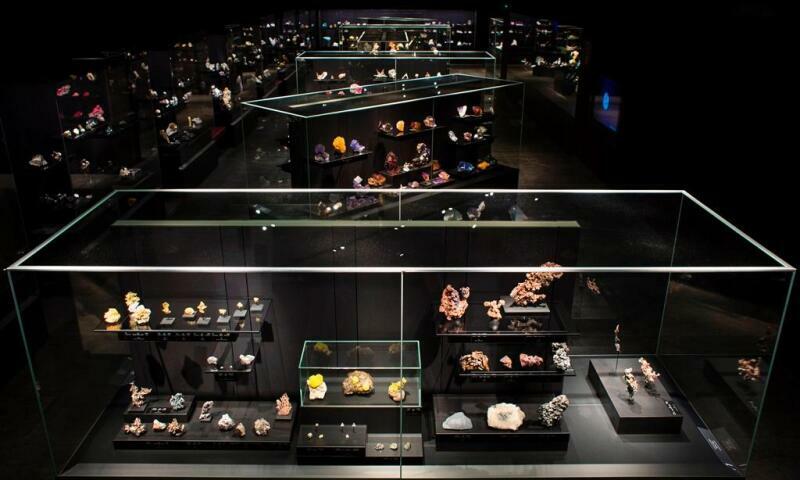 The aim of the museum, which is located on the campus of Saint Joseph University, is to promote the historical, industrial, economic and aesthetic world of mineralogy. The name of the museum comes from the twenty-fourth letter of the Arabic alphabet (Mim) and is the equivalent of the Latin letter M. It is also the first letter of the Arabic words for Museum, Mineral and Metal, which coincidentally is also the case in English and French.